Positive change starts with a single step. Welcome to Conscious Conversations where it is all about taking that first step to making a positive lifestyle change. 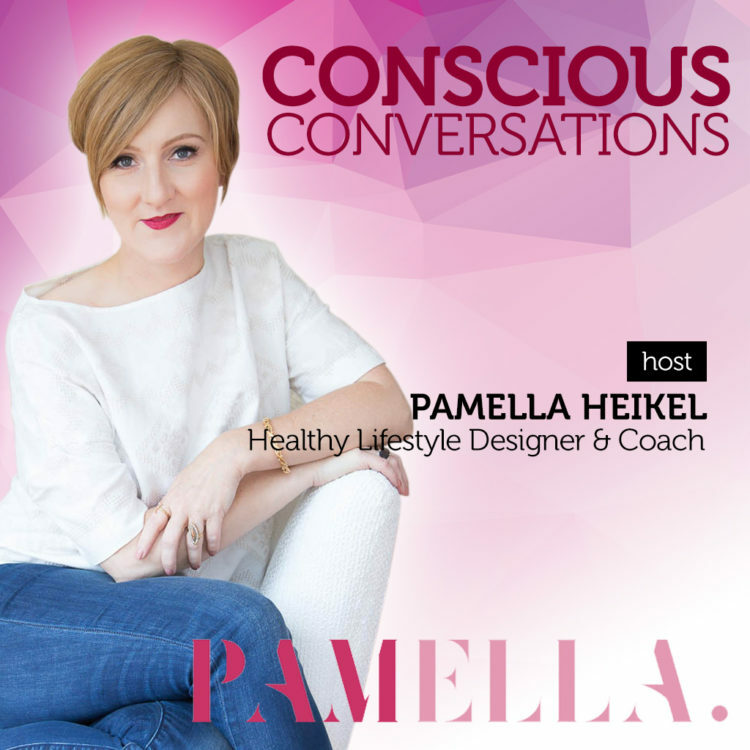 Pamella Heikel, healthy lifestyle designer and coach, will inspire you with insights, strategies and languaging to help you express what you are feeling. Her special guests will share their own experiences and what was like for them and how they took the first step to make a positive change in their life … and how you can too! Welcome to the premiere episode of Conscious Conversations. Your host, Pamella Heikel, has an exceptional talent of supporting individuals find a place of ease and peace while creating a healthy lifestyle. Through her own experiences and pain, she understands and values the role that our health and wellness plays in a happy and productive life. Ultimately, she helps them achieve optimal health through rest, nourishment, movement, and mindfulness by combining her knowledge of meditation, qigong, food, movement, sleep and essential oils. Learn HOW TO listen to what your body needs from special guest Michelle Dionne-Nisbett. Michelle is a Yoga Therapy Training and Essential Oil Educator. Yoga allows for flexibility of body and mind, meditation to instill peace and calm into an otherwise busy and hectic life, and essential oils to provide natural remedies. In this episode of Conscious Conversation, host Pamella shares her insights and knowledge on listening to your body and how this is nourishment for your soul and healthy lifestyle. We are all healing from some past hurt or loss, but it doesn’t mean we are broken. Our past struggles, traumas or health issues don’t have to be a life sentence. I believe we have the power to free ourselves from the shackles that limit our joy and fulfillment. While it is widely accepted that mindfulness is necessary to shape the body, I assert that the body is one of the most powerful alchemic tools for shaping the mind. As a practitioner in the health industry for two decades, my approach is to combine holistic personal training with tension and trauma healing to help my clients gain strength, mobility and energy. Through personal and professional exploration, I know that you can cultivate a deeply felt sense of resilience and agency to realize freedom in your life. The holidays can bring moments of tension, stress, and emotional flare-ups. Krista, helps us navigate the holidays by providing us a worksheet called BREATHE to help ourselves and our family create healthy boundaries, and ways to honour our body, mind, and spirit. Sometimes what has worked in the past, is not what your body needs right now. Angela had to learn to listen to her body and shift what her definition of what fit truly means. Journey with us as we hear her story from peak moments to times where she felt her body had shut down on her. We have all heard about the amazing benefits of meditation. It's the new prescription to help ease our ailments. Imagine thought, if we learned this coping tool at an early age. Tune in to hear about Susan's journey and passion to do exactly that. Well, the holidays have come to a close. Did you enjoy a month or so of indulgence and cheer? Now what? What are some easy steps to recover and nourish your body for health? Tune in as Kathy Smart shares how to live the smart way after the holidays. Ever wanted your body to be your sacred, happy place but honestly it’s far from it? You feel off, lost, frustrated, unfulfilled, and like there is something wrong with you or your body. Listen as Kate Case shares her insights relating to female body wisdom.